Janet and Winston Howes shared a love that most people can only dream of. 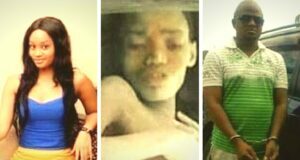 It was love at first sight for the pair, and each day that passed, their love grew stronger. The couple got married in 1962 and moved into a charming farmhouse in the countryside of England. Just a short time after the couple moved into their Wickwar, Gloucestershire dream home, Janet gave birth to a son. The farm and the land flourished, as well as their relationship, and their son was as healthy as an ox. Life was perfect! 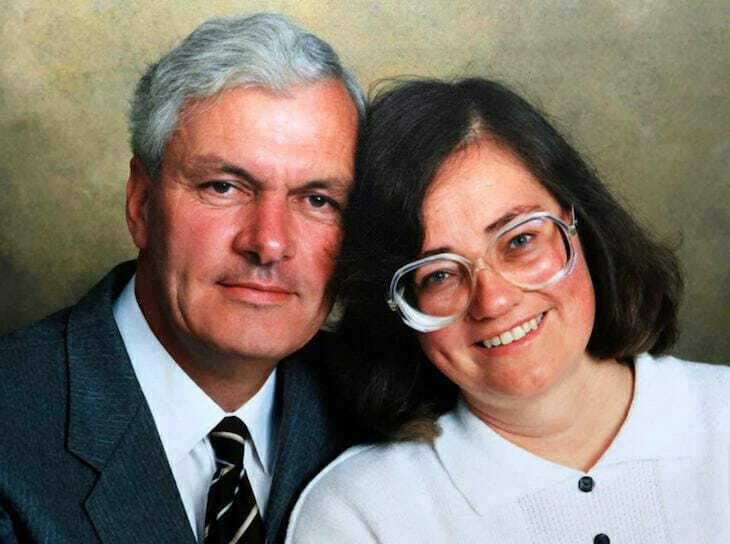 After over 30 years of marriage, Janet suddenly left this world. Winston’s soulmate, Janet, suffered from heart failure and passed away when she was only 50 years old. Winston was devastated and the couple’s son had no idea how to continue living without his mother. Father and son tried to heal their wounds as much as possible, but whatever they did, Janet’s departure was too much to bear. Some months after losing Janet, Winston got an idea. Even though he could never get back his beautiful wife, couldn’t he honor her with a beautiful gesture? Winston started working on a meadow by the house — a meadow that Janet loved a lot. The idea was to create a place where he and his son could visit on difficult days. Winston’s incredible tribute to Janet was kept secret for years — until a hot air balloonist flew over it. Pilot Andy Collett was on his way home on a beautiful afternoon when he discovered Winston’s tribute. He looked down and couldn’t believe what he saw! 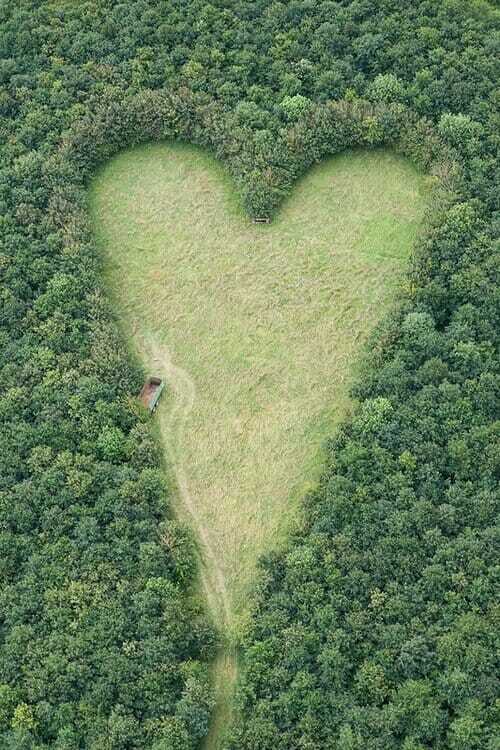 For years, Winston had planted thousands of trees to create a large heart-shaped forest surrounding the meadow his wife loved to visit. Andy tells Daily Mail about how he felt when he flew over the heart. “I have my own balloon and am quite a regular flyer — but this was the most amazing sight I have ever seen from the sky. It was a perfect heart hidden away from view — you would not know it was there. You can just imagine the love story,” Andy says. Although Andy had never met Winston and had no idea why the heart was there, he assumed that there was a love story behind it. An emotional Winston explains why he decided to plant the trees and about the little details that caused this heart-shaped forest to move thousands of people. “I thought it was a great idea — it was a flash of inspiration — and I planted several thousand oak trees. Once it was completed we put a seat in the field, overlooking the hill near where she used to live,” Winston says. 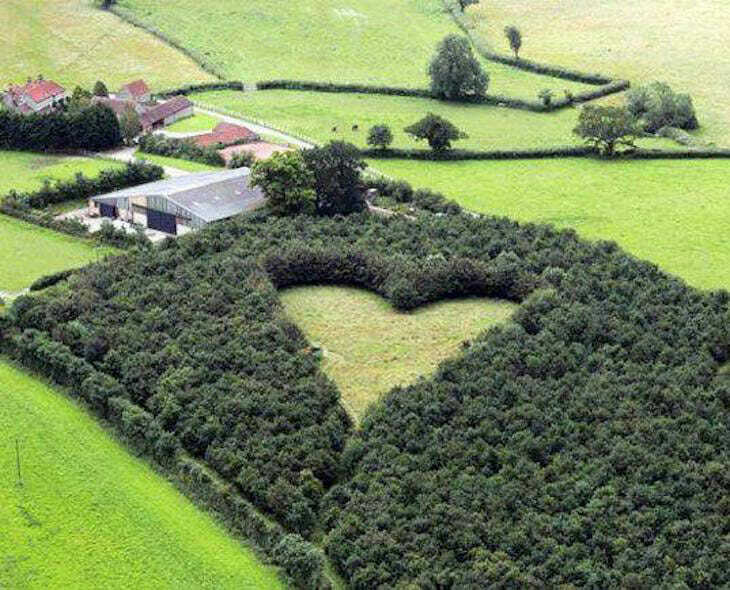 He planted large oaks around the edge of the heart and then built a hedge around it, too. 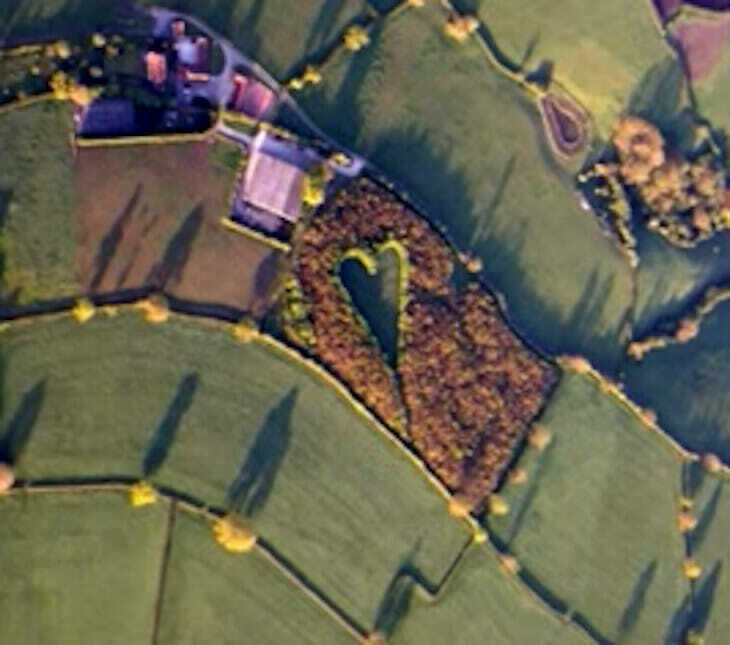 The heart points to the village of Wotton Hill, where Janet was from. Every year, Winston also plants daffodils in the center of the heart, which bloom in the spring. So nice! “I sometimes go down there, just to sit and think about things. It is a lovely and lasting tribute to her which will be here for years,” Winston says. Winston’s tribute to his wife is the perfect place for him and his son to remember her. Nothing can bring Janet back, but we know she would have loved this meadow! Please share this tribute on Facebook if you also think it was very touching!